I love fresh cut flowers in the house, but some of them don’t last too long. 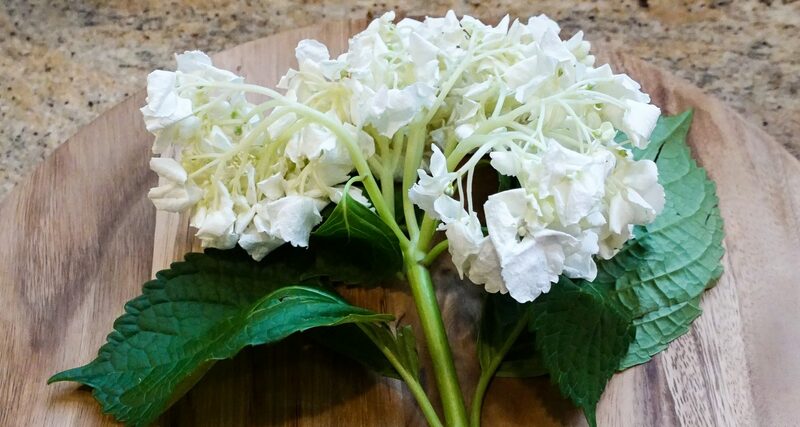 Did you know that you can revive wilted hydrangeas? With a couple of easy steps you can bring your hydrangeas back to life for days longer. Boil a few cups of water in a sauce pan or tea kettle. 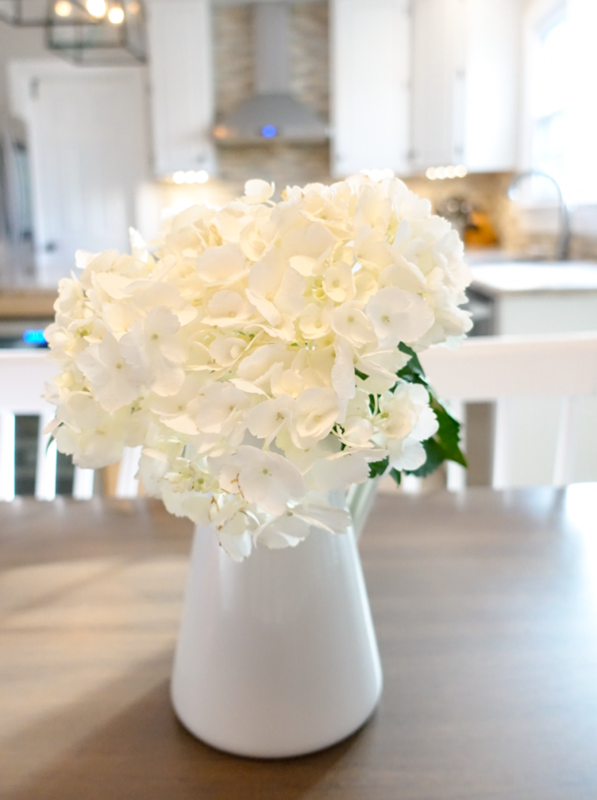 Remove the wilted hydrangea stems from the vase. Trim off about an inch of the bottom of the stem. 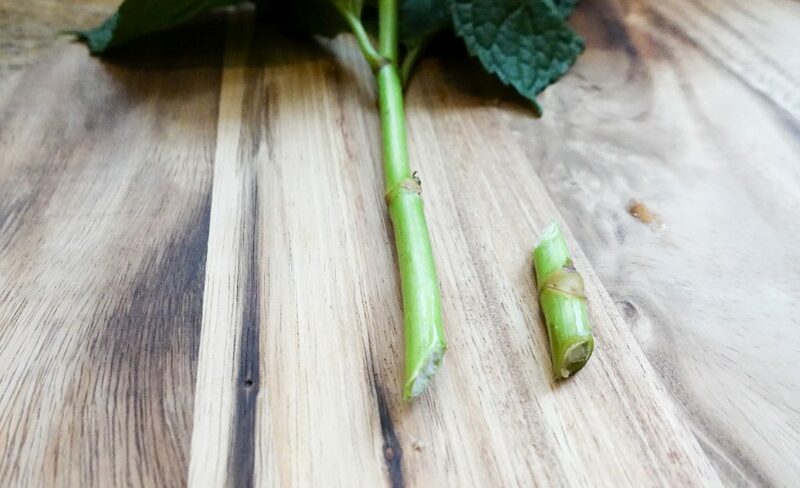 Try to cut at as much of an angle as you can so more of the stem is exposed. 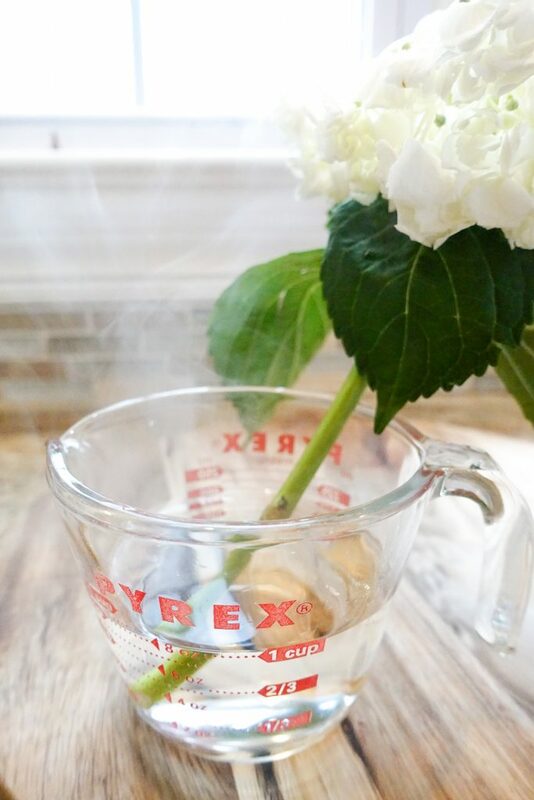 Leave the stem in the hot water for a couple of hours. We added more hot water a few times when the water had cooled off. After a few hours, the petals had all perked up again!!!! The flowers are on day 4 of their revival and still going strong.